A Collection of 'Awesome and Coolest Safes' from all over the world to keep your valuables safe and secure. 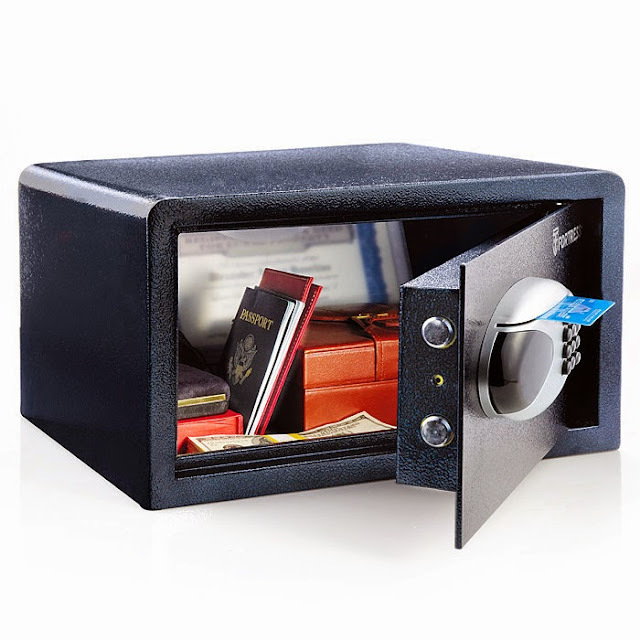 Magnetic Card Entry Safe: The solid steel construction of Magnetic Card Entry Safe provides excellent protection. It features programmable movement alert and a recessed, anti-pry door. For those who think that they can simply walk away with the whole safe, it comes with a kit that allows the safe to be attached securely to your floor. For unlocking, you can program any magnetic card to open the safe; use the keypad, or the override key. The interior lights in the safe are perfect for taking out what you need in low-light settings. 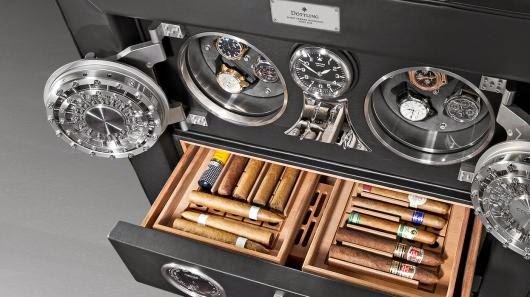 Döttling Barcelona Watch Safe: The Döttling Barcelona Watch Safe features leather exterior, twelve precision winders, three drawers, and a hefty weight of over 650 lbs. 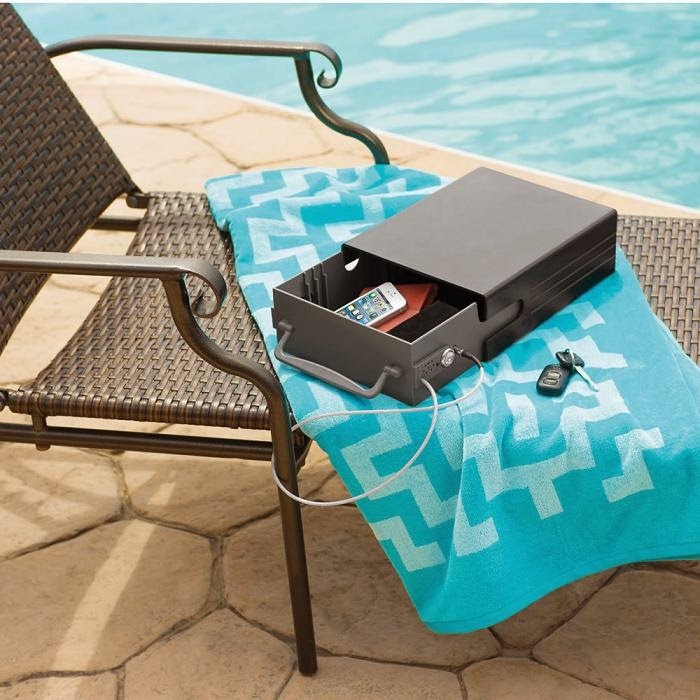 Dormvault Laptop Safe: Here is something to keep you laptop safe and locked up in your college dorm room, apartment, or hotel. 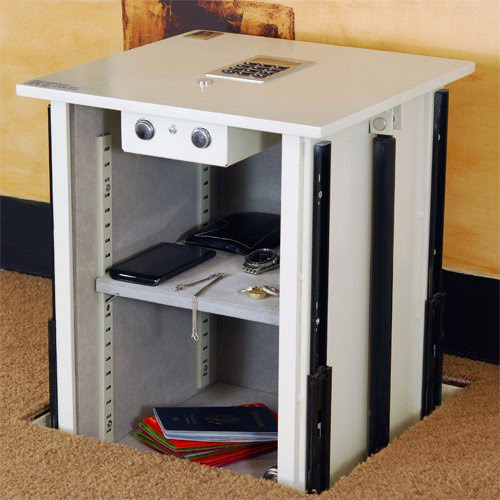 The Dormvault can hold 17" laptop, electronics and other valuables safe by internally attaching itself to the furniture. Now if someone wants to get access to you gadgets then they need to dismantle your bed or desk to get the safe off and that isn't going to be easy. 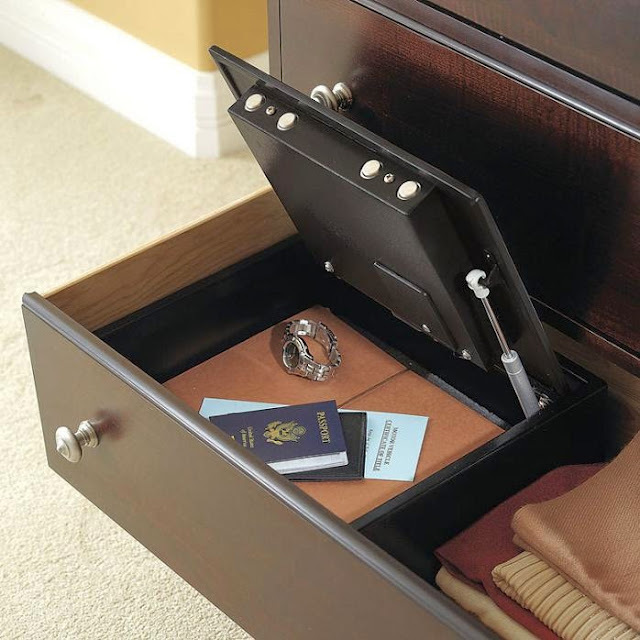 Safemark Heavy-Duty Drawer Safe: The Heavy-Duty Drawer Safe is small yet strong to keep your valuables safe and secure. It can be placed inside a drawer or attached to the shelf; it features a recessed door with hydraulic lift, steel construction, pry-proof locking and a personalized 4-digit code. It's small size works as an advantage as its not as obvious as a full-sized safe and yet provides safety to your valuables. Biometric Access Safe: If you are among those who don't want to remember personalized code, or keep cards and keys to unlock your safe to access your valuables, then this is for your. The Biometric Access Safe uses your fingerprint to unlock the safe and keeps your valuables secure. 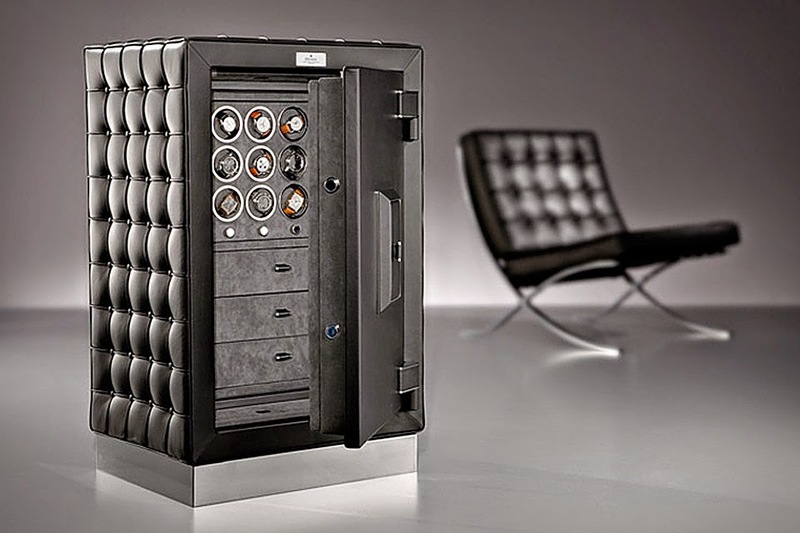 Döttling Fortress: Billed as the "safest luxury safe in the world," said to be certified for insurance coverage of up to US$1,000,000. One configuration includes eight watch winders, and each winder can be individually controlled to rotate left or right or oscillate. And above the main safe there are two individual Colosimo safes with six more precision watch rotators. Biometric Radiovault Safe: This Biometric Radiovault Safe is a safe and sound security system. It features a biometric fingerprint scanner that unlocks the drawer. 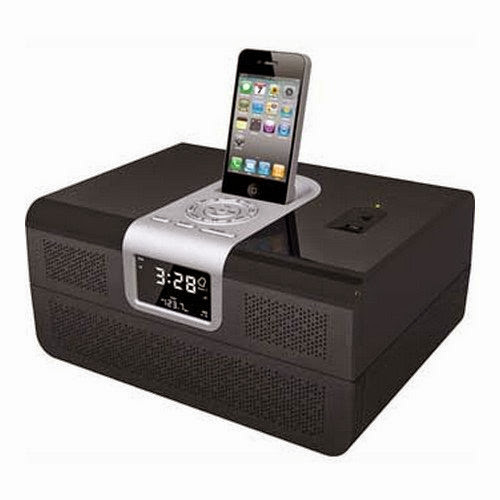 Its compatible with the iPad Touch, Nano and iPod Classic and works with iPhone, 4, 3G and 3GS. Air Vent Safe: It comes with two removable shelves that can be customized as per your storage requirements.